Students have been working to understand value in art and incorporate their learning into their work. We have made value scales, mixed skin tones, made tones of color, worked in greyscale and more. In our 11-13yo and teen class, students are completing self-portraits. We are creating still life drawings using pencil in our 7-10 and 11-13yo classes. 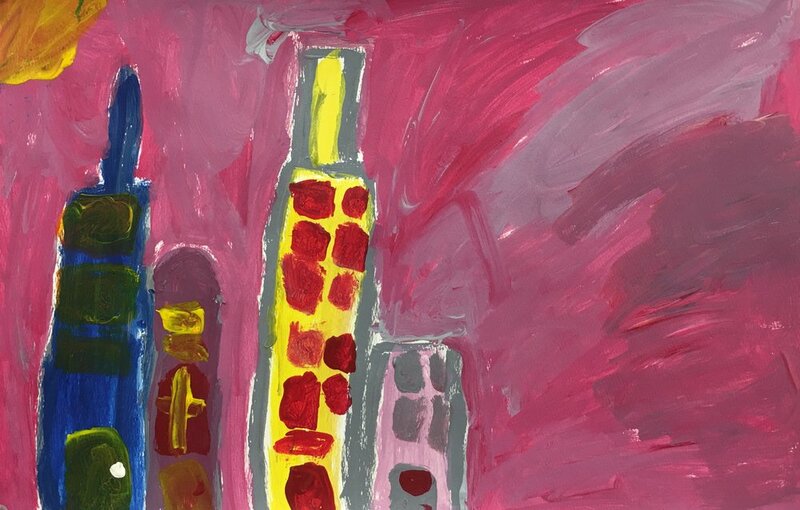 And we created toned cityscape paintings in the 4-6yo classes (pics below).